Thinking about doing something different with your dog. Slowing it down a bit? Rally-O is a fun, relaxed form of training but with a twist! Dog & handler work as a team, navigating through a course with numbered signs that indicate which behavior the team will perform. 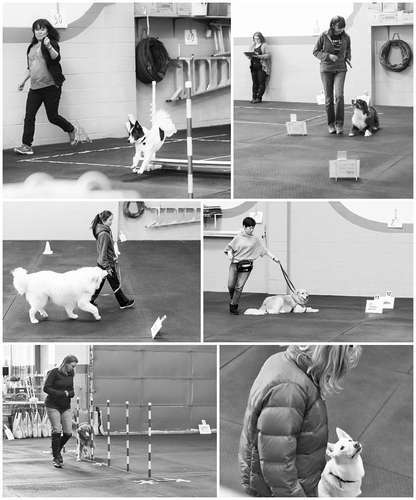 There are dozens of behaviours to be mastered by the team such as stays, heeling, various turns, stands, recalls, finishes, send over a jump, sidesteps & call front etc. It is a fun way to train everyday obedience skills and work on focus and control around other dogs and distractions. Rally-O can be done by all dogs and their owners! Dogs learn basic obedience skills in a fun and positive manner and owners learn handling skills to better communicate with their dogs! Here’s a few images from our Rally-O Fun Match we had this past Sunday.